I used the "Pumpkin Latte" scrapbooking kit from the Paper Bakery, and just love these warm Autumn colors! The teals, oranges and wood grain, are oh so pretty! This was such a quick and easy layout to put together, I had a few strips of patterned paper left from another project, so I cut just a few more and had an instant background! 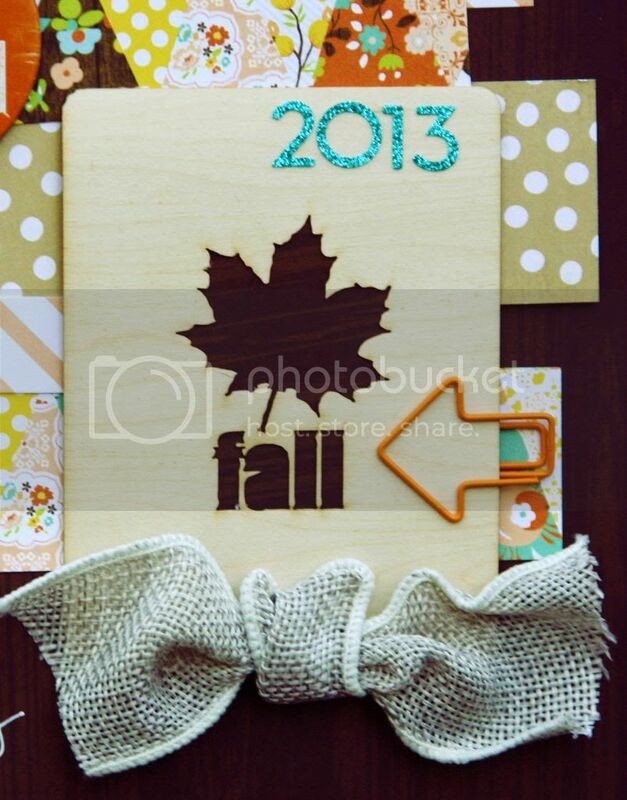 Oh, and that cute fall wood veneer, you can find that here in the Paper Bakery shop. Thanks so much for stopping by today, I always appreciate the visit. Perfect fall layout, love all the strips of paper! Love this, the colours are perfect mix for a subtle fall page. This is gorgeous! I love love love that darkened background, the sequins and the little stars!!!! The layout is full of fun! I love the strips and that you saved your leftovers to create it. Very creative. Awesome page Mary Ann!! 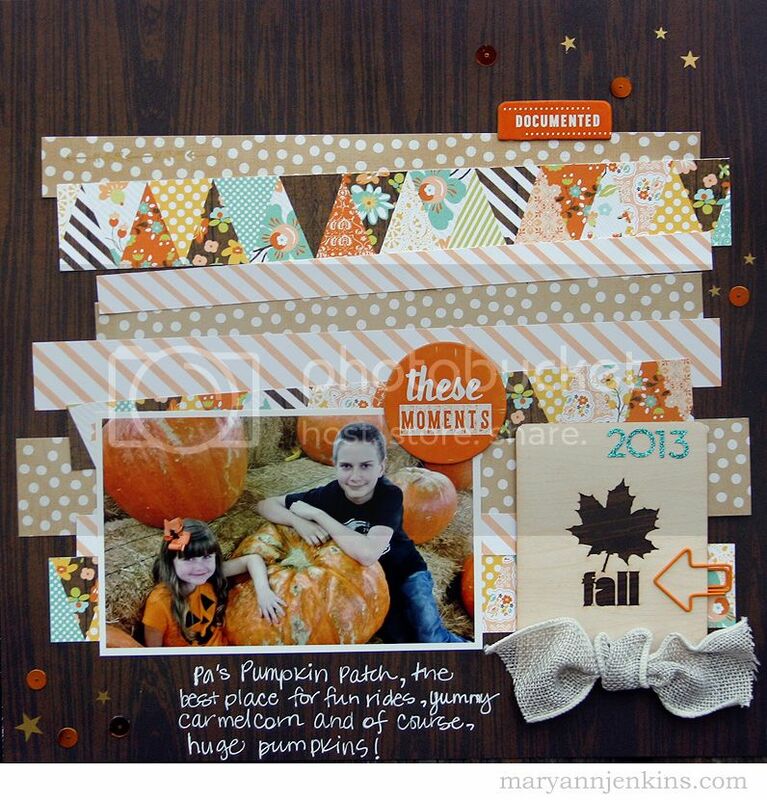 The papers you used from the Kit, are perfect with your pumpkin photo! Beautiful Fall page! Fun page! Love the paperclip onto the veneer card! I don't know why glitter is so hard too. I guess the light. But this is beautiful! Amazing how you did the strips and then tied it all together with color and embellies! Love these rich fall colors!